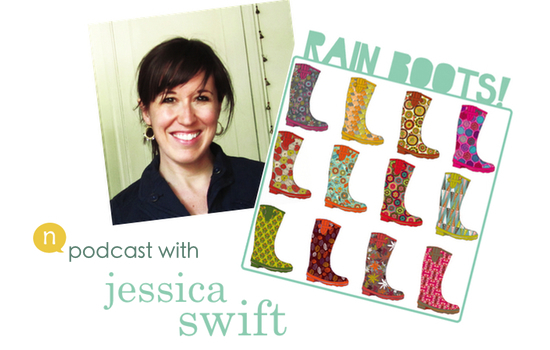 Last week, I interviewed full-time artist, illustrator, and surface pattern designer Jessica Swift about her uber-successful rain boots project that you have seen on KickStarter recently. 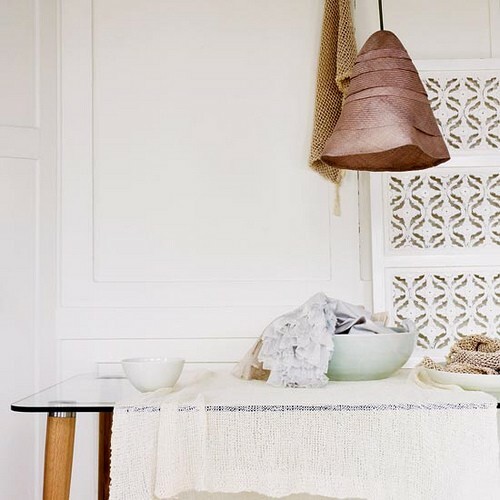 And today, I am sharing the podcast version of our interview. Excited! I had watched her project take off from the very start and was really impressed with the way she was able to make it happen (and so quickly too)… At the time of our interview, Jessica had already raised more than $19,000 to fund her project (her goal was $18,000) and she still had almost two weeks left to go to raise more. Now the project is at more than $20,000 with a week left to raise additional funds before the rain boots are actually made. 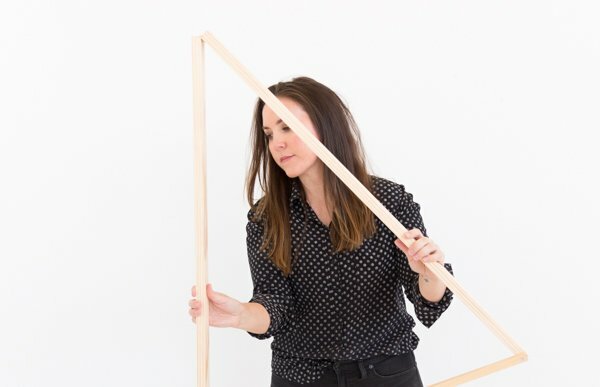 If you are thinking about trying to get a project funded via KickStarter, you really need to listen to this interview with Jessica. She shared a lot. -How Jess started the rain boots project and what the process was like raising funds on KickStarter (I also explained what KickStarter if you are unfamiliar with the site). -How Jess was able to navigate through the world of manufacturing to make her project a reality. -The work that went into raising more than $18,000 in funds in a matter of weeks. And how you can do it too. -Mark Pound at Blosma (helped Jessica put the puzzle pieces together for get her product manufactured). Find Mark at www.blosma.com. You can visit Jessica Swift on www.jessicaswift.com. Visit her Etsy shop: Jessica Swift Etsy shop. Or you can also follow Jessica on twitter @jessicagswift. AND To pledge funds (pledges start at just $1) to Jessica’s KickStarter Rain Boots Project, visit this link: Rain Boots with Secret Messages. If you like this interview, please help Jessica and I spread the word by using the buttons below (twitter, facebook, stumbleupon). New Podcast: Reignite your Spark. Rediscover your Passions. Let me know what you think Trish after you listen in. I think you’re going to like it. Thank you so much, Brittni, for interviewing me! It was such fun. 🙂 I hope everyone loves the podcast. Brittni, thank you for interviewing Jessica! Jessica, good luck! Your boots are awesome 🙂 I know how hard you are working!!!! This project has really captured my imagination – I’ve been watching it from the start. I just love the idea and you can be sure that as soon as I have a job again, I’ll be buying a pair of those boots! I can also really relate to the feeling of not having a clue about where to start getting something manufactured. My friends often ask what I would do if I wanted to scale my operation up (I’m a one-woman show like so many others) and I honestly had no idea where I would start. It’s great to know there are people like Mark out there who can help the process along. Thanks for sharing and I hope the rain boots are a great success! Thanks Brittni for doing the interview, it’s been a real eye-opener! Brittni, the interview was great! What I liked most was how real and accessible you both were….and it sounded as if there was real room for advancement for real folks….is that enough “real” for you? 🙂 I REALly liked it! Thanks again for the great info! Haha, that’s awesome, Trish. I just have to say, Brittni gives a good interview! She was so easy to talk to, and it was really a fun conversation. And YES, there’s plenty of room for advancement for real folks! I’m a real folk! It was totally my pleasure to interview you Jessica! Thanks to everyone for the kind words. 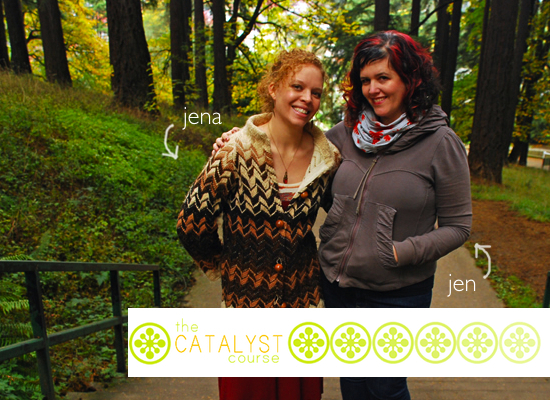 And BIG thanks to you Jessica for sharing your journey with me. i’ve loved jessica’s work for years and thoroughly enjoyed the podcast! it’s great to see a smart, talented artist be so successful. thanks ladies! Thank you Laurie. You are such a sweetheart. It is really awesome that we were all on the very same call. Small world! I’m so in love with your podcast, I’m a big fan of you now. Congrats to Jessica!, I’m looking forward to grab one of the boots for myself, it’s so pretty. I’m planning to create new products for my interior design business and collecting all the information about how to, where to start, etc. just like Jessica was and then BAM! your podcast was posted in B-school ^__^. And here I am. Thank you so much to Brittni and Jessica for sharing this. It’s really help me another step forward.